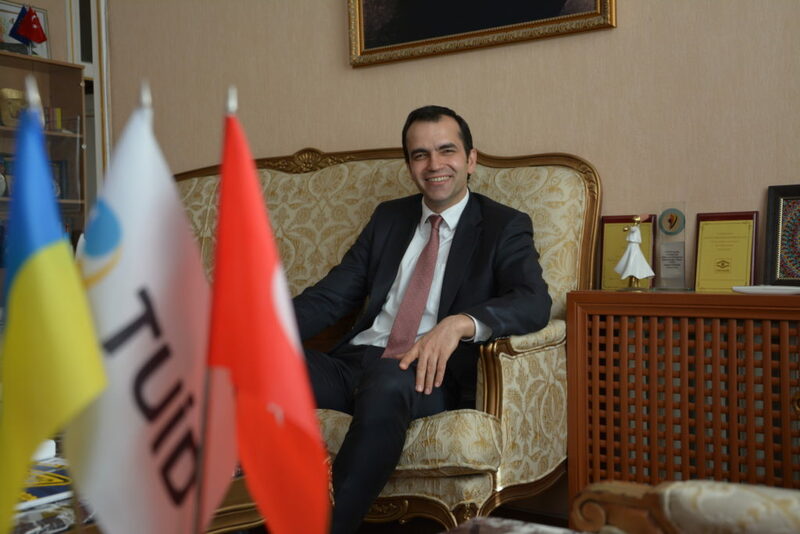 Burak Bey, you are the Сhairman of International Turkish Ukrainian Business Association «TUID», which began its work in 2004. Please name a particularly significant event that was held during this period of TUID work? TUID is an organization created by Turkish and Ukrainian businessmen in 2004, working on further strengthening and deepening of economic and trade relations between Turkey and Ukraine. It is important for us through our activities strengthen the image of Ukraine in Turkey and the image of Turkey in Ukraine. Each year, we organize significant numbers of forums, round tables and conferences, in order to bring together entrepreneurs and business representatives from both countries. One of the most exciting events which was organized by TUID is First Turkish Ukrainian Industrial Forum. The event was carried out in the industrial center of Turkey in Кocaeli in June, 2016. The forum was attended by more than 60 Ukrainian businessmen. According to the then Ambassador of Ukraine to Turkey Sergei Korsunskiy, this was the first time during the history, such a big number of Ukrainian businessmen attended at an event in Turkey. We believe it is very important development of the bilateral cultural, humanitarian and art relations as well as business relations. Therefore, in my opinion, the most important projects which we carried out in our history are renovating of Emergency department of the Darnytsa Hospital and renovating of the second-largest orphanage in Odessa. In an interview with the Zaporozhye Chamber of Commerce, You noted that traditionally in total exports from Ukraine to Turkey 50% is occupied by the production of iron and steel. And what percentage takes agricultural products in total exports from Ukraine to Turkey? And what kind of agricultural crops occupy a leading place on the list of exported products? After the iron and steel products, the second place of Ukrainian exports to Turkey is occupied by the export of agricultural products. The ratio of Ukrainian agricultural exports in total Ukrainian exports to Turkey constitutes for 23%. In most cases, it is soy, sunflower, sunflower oil, and walnuts, which are exported along with other agricultural products. In the same interview, You pointed out that Turkey could share methods of supporting exports with Ukraine, passing on its farming experience during international investment fairs, experience of exporting companies. Izmir hosts the Forum of Organic Producers, which takes part in Federation of Organic Movement of Ukraine. What is your personal attitude to organic products? And is TUID taking part in the organic movement? Unfortunately,Ukraine mainly exports raw materials worldwide. In this case, the added value remains outside. Branding, marketing and export incentives by the government significantly have been improved in Turkey within the last 20 years. Turkey could share this knowledge and experience with Ukraine. Organic products are sold with high added value. Consumers add value to their lives consuming these products, I am one of those who give preference to a healthy lifestyle, with an emphasis on healthy eating and sports. TUID provides support and promotion of the production and consumption of organic products and activities for a healthy lifestyle. Ukraine, of course, has the appropriate land for farming and organic farming. So we encourage Turkish investors to invest in agriculture in Ukraine, especially in organic farming. 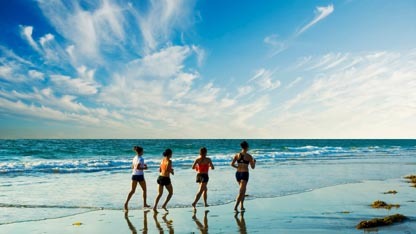 Modern business requires not only educated people, but also people who have international cooperation skills. The development of these skills contributes to international contacts in the field of education at the level of inter-university exchanges to the development of such skills. How do you assess the level of cooperation between Ukrainian and Turkish universities? Turkey and Ukraine have increased cooperation between universities in recent years. Together with the developing economic, commercial and cultural relations between Ukraine and Turkey, we see that there is increasing interest to the departments of Turkish language in Ukraine. Besides the fact that there is a tendency to increase the number of Turkish language departments in different universities, more and more students are willing to study at the Turkish Language departments. As I know, the European Union program «Erasmus» also operates between Turkey and Ukraine but unfortunately the program has been implemented only between Ukrainian Taras Shevchenko University and the University of Kırklareli in Turkey. I wish there was a growing number of universities involved in such things in both countries. Up to date, 3,500 Turkish students study within the framework of Erasmus program only in Poland, whereas the number of European scholars and students in the Erasmus program in Turkey exceeds 40 thousand. Thus, the potential between Turkish and Ukrainian universities is much greater than its current implementation. We consider it very important to promote cooperation between the scientific and technical universities in Ukraine and Turkey. At this stage, together with the largest Technology Center of Turkey Tübitak Martek and other partner organizations, we plan to hold the first Turkish-Ukrainian Technology Summit, which will perform the function of the catalyst. State Organization of scientific-methodological center “Agroosvita,” which I represent, for many years, in conjunction with the French Embassy in Ukraine holds “Days of French education in Ukraine” regularly. What would you say to the idea of the “Days of the Turkish education in Ukraine”? And could you contribute to their organization? Along with Turkey, France is one of the two largest leading countries in Europe in the field of agriculture. Given that Ukraine is such a strong agricultural country, your organization developed a good initiative with your French counterparts. As I mentioned, TUID gives particular importance to the development of cultural and academic ties between Turkey and Ukraine, and we are committed to the promotion of cultural and educational activities between the two countries. However, we should underline The cultural and promotion consulate under Kiev Embassy in Ukraine have the real experience organize activities in these fields. In addition, the Turkish International Cooperation Agency (TIKA) supports a variety of educational, scientific and cultural projects in Ukraine. As it is known to us today historical sources indicate that the first direct contacts between Ukraine and Turkey began between 1498-99. Although some times during the history of shared relations were confrontational, any shared contacts influenced the penetration of cultures. What are the common cultural features of the Ukrainian and Turkish people you could mention? One can confidently says that the Turks play an important role throughout the history of Ukraine, as well as Ukrainians in Turkey’s history. The agreement concluded in 1648 between the Ottoman Empire and the Ukrainian Cossack State (which already was a state at the time), means that Ukraine was recognized as an independent state in history firstly by Turks. Unfortunately, we still do not have official history books that would deeply analyze the historical relations between the two countries, but I think that this situation will change in a positive way in the future. We have a lot in common in the cultural sphere and in the folklore too. Many common words draw an immediate attention in both languages, such as the word «Kozak», which etymologically is a Turkish word. To quote the great Ukrainian historian Lubomir Hayda, “One-third of Ukraine’s history occupies the north, one-third is associated with Western civilization, and one-third of the history deals with one of the three directions -to the south of the country, namely the Turks.” Our common deep and rich history creates a good foundation for the development of economic and trade relations between Ukraine and Turkey today and in the future. You are the organizer of the exhibition «Patterns of the Bosphorus» in Lviv in August, 2016. What other cultural events you would like to be organized, or you would like to conduct in 2017? Although we are an association of entrepreneurs, as I mentioned earlier, everything related to the promotion of Turkey in Ukraine, as well as the promotion of Ukraine in Turkey might be supported by us. So to support cultural and art events in Ukraine is important for us too. Exhibition of ceramic artists Alena Friedman and Svetlana Zubovich in Lviv called «Patterns of the Bosphorus» was one of the projects that we are very happy about supporting. During the period of Austrian -Hungarian Empire in 1901, because of the respect to the Turks, one street in Lviv was named Turkish Avenue. This year it marks the 116th anniversary since the street was named. We plan to hold a cultural event in this regard. In addition, our association has to fulfill the requests of a number of Turkish and Ukrainian artists, the part of which concern some of the artistic activities, and we are now considering the candidates that have made their application for a grant.